Amongst the banal office complexes of Fort Meade, Md., artist Ingrid Burrington investigated many of the private contractors that feed off of the NSA. Mass surveillance has an image problem. The visual references commonly used to portray intelligence agencies — screens, servers and sleek glass buildings — don’t suggest an ethics or a rationale to their operations. They don’t suggest that there are even humans involved in collecting information about millions of other humans. 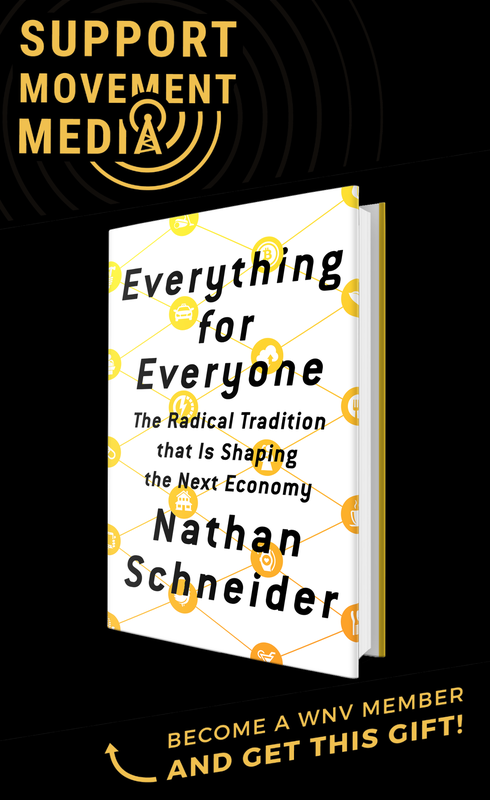 In order to understand a world in which mass surveillance is increasingly deemed an unexceptional fact, it seems useful to face the apparatuses performing that surveillance in the most literal, prosaic way possible. For me, this meant driving to suburban Maryland. 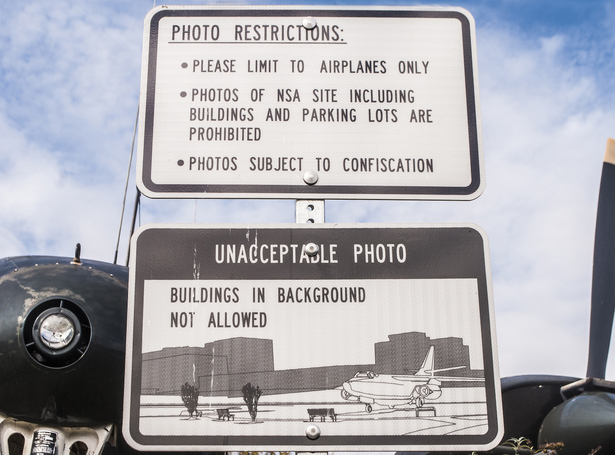 In a small park next to the National Security Agency in Fort Meade, Md., signs explain rules about photographs one can take — and illustrate the kind of photo one isn’t allowed to take. Looking at the diagram of a restricted image reminded me of the ubiquitous stock photograph of the NSA, the one reminiscent of the Kaaba and among the few used by news outlets. 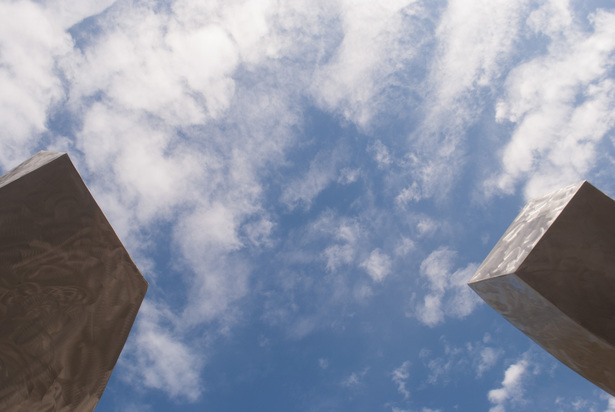 The photograph’s ubiquity, along with its subject’s resemblance to another opaque monument, serves as shorthand for an institution that seeks to be perceived as beyond human comprehension or accountability. I made my pilgrimage not to the NSA, however, but to adjacent temples of lesser gods. 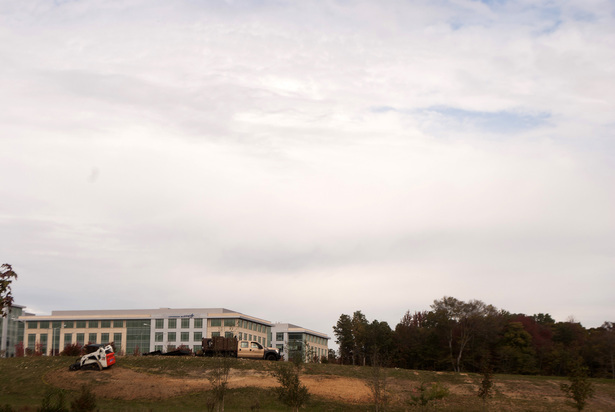 The National Business Park is an office complex located less than a mile away from the NSA headquarters. Its tenants are mostly intelligence and defense contractors. According to the writer Tim Shorrock, contracting makes up about 70 percent of the defense intelligence budget. While the U.S. intelligence community has been subject to public scrutiny following Edward Snowden’s revelations about the surveillance state, the private contractors crucial to maintaining it — by designing software and hardware, providing analysis and building physical structures for government intelligence agencies — continue to do their work beneath the radar. As hope emerges that court rulings and panel recommendations might reform the NSA, it remains unlikely that these highly instrumental agents of intelligence gathering will be held accountable for their role in crafting the surveillance state. It also remains unclear where private intelligence contractors might shift their focus if they lose their top client (though their other clients currently include city police departments, international governments and private corporations). The landscape of the National Business Park offers little insight into the vast, byzantine protocols of the surveillance state. But plausible deniability is itself an architectural choice, one made manifest not only in procurements and mergers, not only in networks and protocols, but also in drywall and concrete and stock photography. 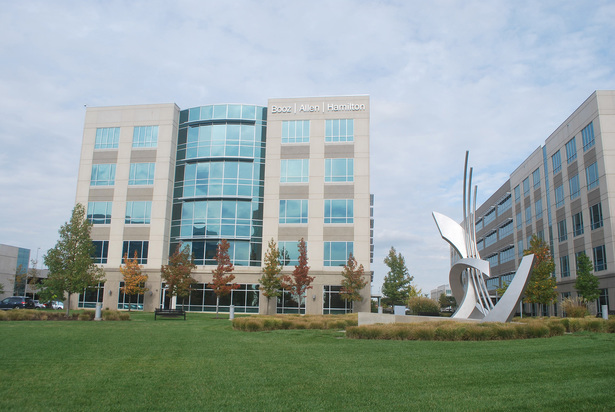 The National Business Park is one of many properties belonging to Corporate Office Properties Trust, or COPT, a publicly traded real estate investment trust based in Columbia, Md. COPT traces its origins to a Minneapolis firm, Royale Investments, founded in 1988. In 1998 the company merged with Constellation Real Estate Group, a fully owned subsidiary of Constellation Energy. This merger led to the acquisition of 1.6 million square feet of mid-Atlantic office property, a new name and a shift in business priorities. COPT describes itself as “serving the specialized requirements of U.S. Government agencies and defense contractors engaged in defense information technology and national security-related activities.” While there are, of course, other real estate companies working in this niche, COPT is seemingly the only one explicitly and almost exclusively dedicating itself to it. While COPT’s properties are sometimes a supporting character in stories about surveillance, it has generally evaded the spotlight. Press releases about new buildings will mention “a strategic tenant” and nothing else. At times, COPT even claims not to know who its tenants are. The National Business Park is located in Annapolis Junction, an unincorporated community in Howard County. “Community” is perhaps a generous description. Annapolis Junction itself is a cipher of a place, named in 1840 for a rail junction on the B&O Railroad. Most of its land was repurposed by the federal government in 1917 to create Fort Meade. Industrial facilities, offices, the CSX rail line and Fort Meade make up the majority of its “community.” To call it “liminal” would imply a potentiality that it does not have. It is merely there. 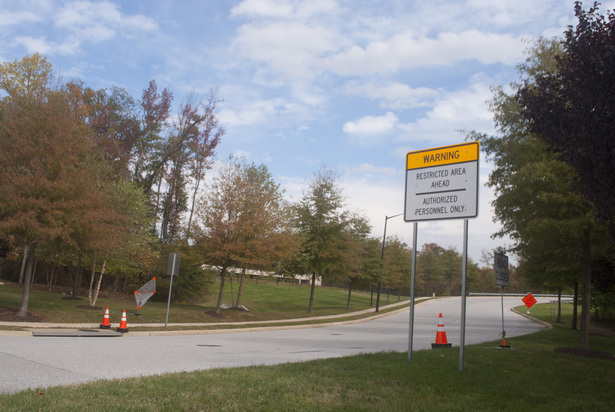 While the NSA is a notable neighbor, the National Business Park is also about three miles away from two prisons and the site of a former prison. The Maryland Correctional Institute for Women still operates nearby, as does the minimum-security Brockbridge Center. Next to these two prisons are the remains of the Maryland House of Corrections, also known as “The Cut,” notorious for its poor conditions and violent history. The Cut closed abruptly in 2007 and was torn down in 2012. Within the National Business Park, the U.S. Federal Bureau of Prisons’ mid-Atlantic regional office works in the same space as small-to-midlevel contractors like Scitor, G2, Invertix (recently rebranded as Altamira) and Ventura Solutions. That the landscape of the intelligence-industrial complex overlaps with that of the prison-industrial complex reveals something, but what that is remains inescapably inchoate — an uneasy resonance even if not actual collusion. Good cages, apparently, make good neighbors. Arriving at the National Business Park induced intense déjà vu for me. Before actually visiting the National Business Park, I went there remotely via Google Street View. The landscapes I’d paused and panned now appeared through the screen of a car window, which renders every view cinematic. In the distracted euphoria of finally seeing the office of intelligence contractor giant Booz Allen Hamilton, which I had previously glimpsed only on Street View, for real, I couldn’t bring myself to stop and park. I drove to the end of the parkway instead. In the satellite view on Google Maps, the buildings at the edge of the National Business Park don’t exist. A real estate broker’s portfolio site indicates that 410 National Business Parkway is home to Lockheed Martin offices, which are reportedly completed and in use by the military contractor. The interior of 420 is still under construction. Apparently it is the future home of SGI Federal. Walking along the parkway, I began to imagine that the banality of the landscape hid ancient cults that in fact ruled the office park. 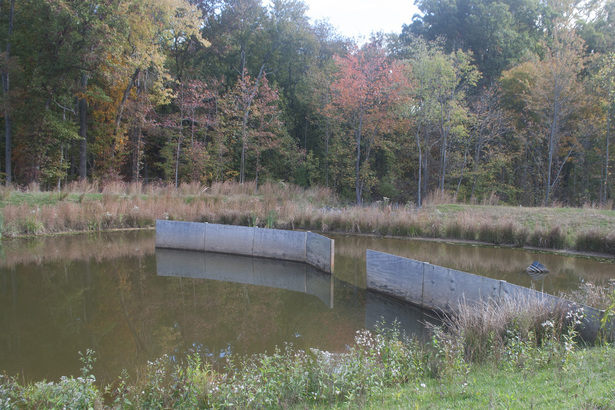 At the base of a hill, I approached a fetid pond and an abstract sculpture. Neither the altar nor the ducks in the pond offered insight into the secrets of these temples. The higher the level of restriction at a site, apparently, the more likely that the tenant is the U.S. government. I didn’t even try to photograph the barricades and ID booth at Hercules Road, the path to NBP-1, a building rented by the NSA’s Technology and Systems Organization. 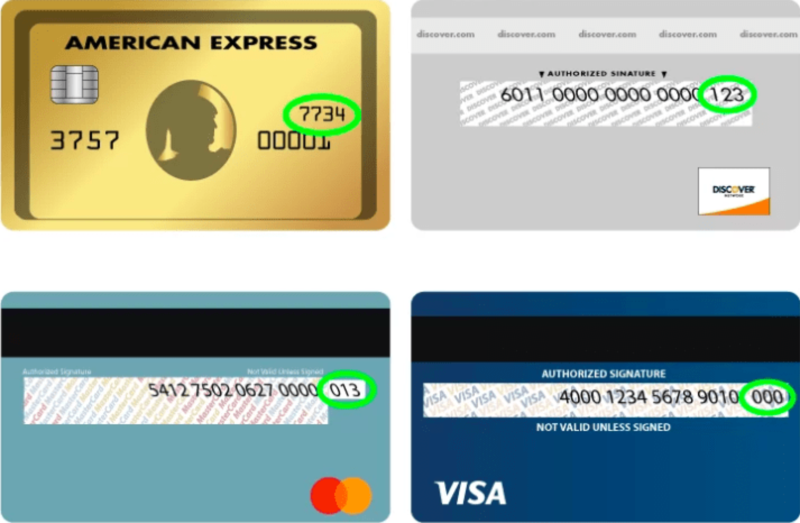 Similarly, while Sentinel Drive was accessible, Sentinel Way required proper ID and credentials. Old press releases suggest that they are mostly government offices, including the Department of the Navy’s Center for Information Dominance. I ventured to Technology Drive, a name for a street that no one would ever have a childhood on. Office parks are fond of buzzwords as addresses: Innovation Road, New Allegiance Drive, Commerce Drive. There were some strangely quaint names well. The sculpture garden adjacent to the Lockheed Martin offices featured a plaque explaining that the land used to be the “Trusty Friend Farm” — farmland established by Amos Clark in 1829 and preserved until 1989. 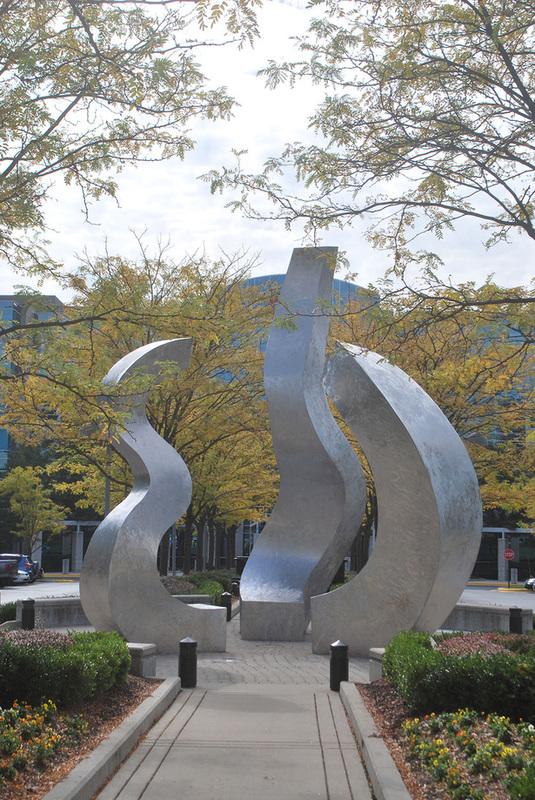 At the 2701 Technology Drive compound, I entered a median courtyard with yet another sculpture, a circle formed by three curving stalks meandering toward the sky. I stood in its center and looked up. The buildings were sleeping giants that should be approached with great caution. The buildings were bland temples to the many demigods of an infinitely complicated cult. The buildings were buildings, decked in surveillance cameras and filled with humans doing their jobs. Outside one of Booz Allen’s offices at 304 Sentinel Drive, a man driving a pickup truck with the COPT logo told me I couldn’t take photos. I asked if I could at least photograph the sculptures. “As long as you can’t see the buildings,” he said. I was doubtful that I’d actually be stopped from photographing more, but I still went back to my rental car and, in a paranoid flourish, hid my camera’s memory card. In part, it is this dynamic of uncertainty as to whether you are being observed, and whether you will be punished for your actions, that gives surveillance its power. Photographs, maps and descriptions of office buildings in Maryland aren’t especially valuable to those who oppose the rise of the surveillance state. 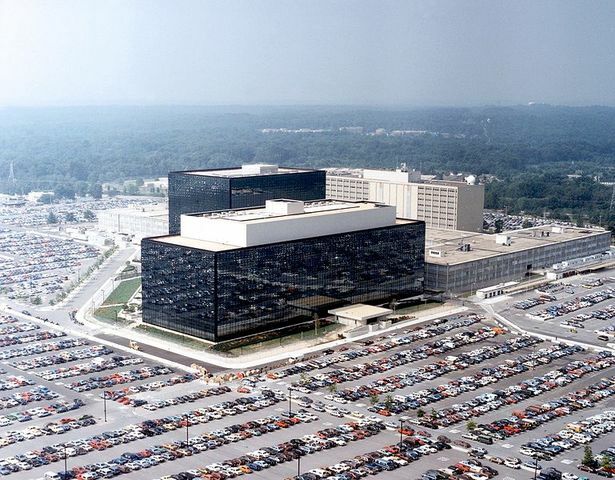 The only reason to deny anyone the right to take photographs of the National Business Park or the NSA or any apparatus connected to the intelligence community is to maintain a blameless corporate mystique around it. Maryland’s National Business Park is but one among many manicured landscapes of the intelligence industry. It presents a surface, smooth and menacing like a human face with no features. But someone had to build that surface, someone has to maintain it and someone has to tether the sad sapling trees to the medians. Through its banal, well-groomed foliage, its vacuous monuments and its insistence on image control, the National Business Park creates an environment that denies any rational past, a landscape that renders its corporeal corporate inhabitants beyond not only the politics of the day but also the accountability of history. As I left the National Business Park, I thought of Robert Smithson, an artist uncannily attuned to unseen sites and “non-sites.” In his essay “Entropy and the New Monuments,” Smithson wrote, “It seems that beyond the barrier, there are only more barriers.” I’d gone to the outskirts of Crypto City and found only more ciphers. This article appears thanks to a collaboration with Creative Time Reports and is also published there. Ingrid Burrington lives on a small island off the coast of America. Her website is www.lifewinning.com. Actually, some of the barriers you speak of, along the boundaries of Fort Meade, are beginning to be lifted. It turns out there is a Snowden Road about 4 miles southwest of NSA’s Kaaba running right towards it, until it disappears into the wild life refuge that extends up to the Fort’s fence. The Snowden River Parkway lies along the Snowden River parallel to and 6 miles away from the northwest edge of the NSA. The United Artists Snowden Square Theater sits just off the Parkway. And, funny as it may seem, the Snowden River serves as the drainage for our NSA. You were not imagining things when you felt the presence of “ancient cults that in fact ruled the office park”, along with the rest of the intelligence establishment. Snapchat for activists — a new 4chan?